Google Chrome Turns 10 Years Old! My favorite browser is now ten years old! Wow! How time flies! 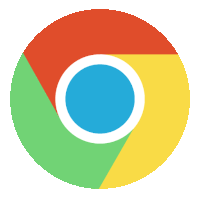 OSNews – Thom Holwerda – “Google first released its Chrome browser 10 years ago today. Marketed as a ‘fresh take on the browser’, Chrome debuted with a web comic from Google to mark the company’s first web browser. It was originally launched as a Windows-only beta app before making its way to Linux and macOS more than a year later in 2009. Chrome debuted at a time when developers and internet users were growing frustrated with Internet Explorer, and Firefox had been steadily building momentum.